Leg or foot injuries or surgical procedures are done on the leg or foot may necessitate walking with crutches. They help you to move about despite the injury or the surgical procedure. There are other circumstances also that may make it necessary for people to use crutches. Patients who are affected by diseases like arthritis, cerebral palsy, etc. may also be forced to use crutches. It is better to acquire sufficient knowledge about the various types of crutches available so that you can make an informed decision. Though such knowledge will be useful, your doctor is the best person to advise you about using crutches and also the type suitable for you because he or she may have examined your injury or treated your ailment. One of the most popular types are Lofstrand crutches or forearm crutches. These crutches come with a plastic or metal cuff that has a full or partially circular shape. This cuff will have a V-shaped opening also. The cuffs will be just below your elbows and above the hand-grips. You should slip your hands through the cuff for holding the hand-grip. There will be an arrangement in the cuffs with which your forearm will be surrounded. This is for holding the hand-grip comfortably. Especially, people with permanent disabilities will find this arrangement highly comfortable. That is the reason Lofstrand crutches are highly popular in North American countries. Many people with leg problems or disabilities in their legs use these walking aids because they are easy to use. 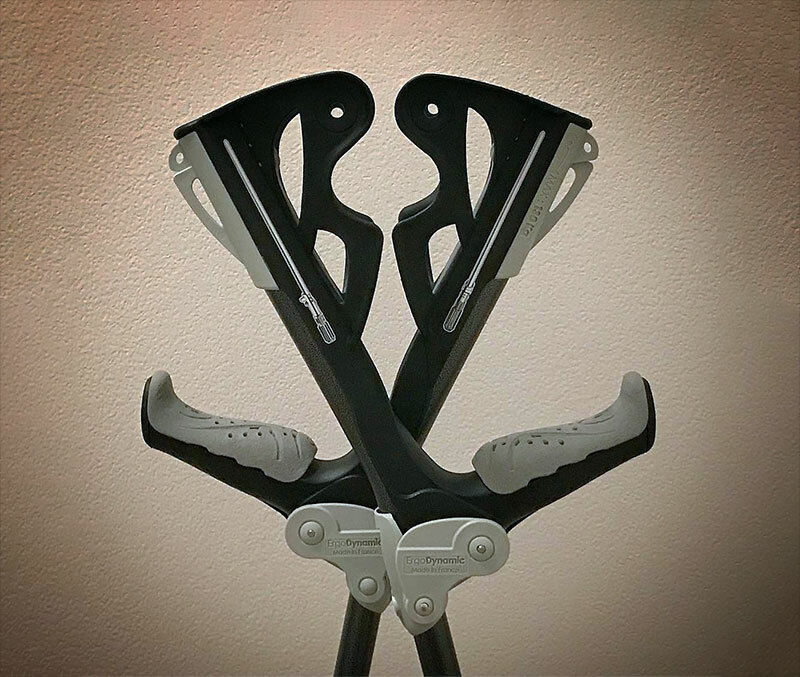 Many users of Lofstrand crutches vouch for the fact that their discomfort is greatly reduced by them. Even if the user trips over, the hands will be set free because the forearms will easily slip out of the cuffs. The hand movement will be quite easy. Additionally, you can balance and control your body weight with a great ease. Since the hands are free, you can move the trunk of your body better. Because of the injury, you may not have liked to move about prior to opting for these crutches. But, with these crutches, you can use the upper portion of the body more freely and hence, you may not hesitate to move about. Even when you stand, you can balance yourself more comfortably. These crutches are quite affordable. If your doctor agrees that you can use them, you can search online and buy crutches easily. You can visit the websites of the dealers and manufactures of crutches and crutches accessories, compare the features and costs of the products available with them and choose the most suitable ones that fall well within your budget. Cleaning and maintaining them are quite easy. You can clean them just by wiping them with a cloth.